Businesses, brands, entrepreneurs and CXOs today need help with solutions that deliver on both the business and the creative balance sheet while staying relevant with technology. NYUCT Design Labs, a first-of-its-kind multi-discipline collective, specialises in Venture Design - building ventures, brands, innovations and IPs. This is a unique collective, a 'think and do' tank of experienced domain and industry experts across strategy, brand development, technology, design, content and integrated marketing. - A core of industry and domain experts with more than 180 years of experience - who create, curate and collaborate - the Cureators™. - A boxful of technology - enterprise, mobile and web solutions and emergent technologies. - A private league of extraordinary independents / specialists across the most diverse disciplines. 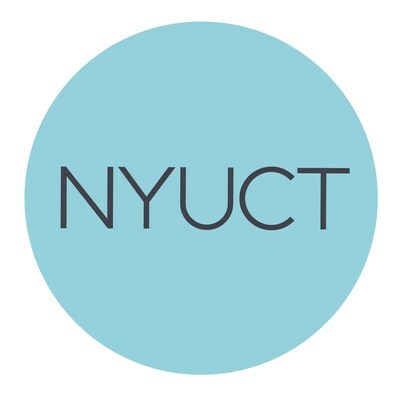 Launched in 2016 (conceptualised in 2014) NYUCT engages with clients right from blue sky thinking to strategic consulting, venture design and meticulous last mile execution from start to completion, with the vision of making true multi-discipline collaboration work and creatively disrupting the solution space. NYUCT Design Labs imagined, business modelled, designed, and content powered a new Travel and Discovery platform for a social, millennial India called Gulliver's India (http://www.gulliversindia.com). This is an illustrative live example of how the firm does venture design. Other ventures for NYUCT Design Labs include the 'Done in 60 seconds', which is a 17 films project for the Taj, the Vasant Utsav film, the first-of-its-kind sound map of India with Sunoh, the Kaziranga and Manas photo story project, helping reinvent a not for profit foundation, empowHER India. And other interesting projects in the pipeline. NYUCT Design Labs has in its collective, partners that range from VR specialists, Sound scientists, Influence marketers, Mind mappers, spatial designers and activation experts. The team's earlier adventures have included building and powering global brands, integrated marketing and strategic brand management, content development, industry leading innovations and building technology solutions and platforms. The portfolio includes bringing alive the first luxury rainforest retreat Taj Coorg, building a museum in Coorg, interpretive projects like the Kabir project at Delhi, the Madras chronicles, the Great Escape each of which were a synthesis of design, content and technology and delivered both on brand and business. Core members of the team have created bespoke brand experiences, book projects, art installations and exhibitions, several films and brand forays that include conceiving and building social business models, IPs around adventure, music, films, stand-up comedy, food and beverage. These have created immense value for brands and organisations. The technology adventures include building solutions and platforms across the web, mobile and cloud space. These comprise intelligent websites, analytics engines, community platforms and support solutions.